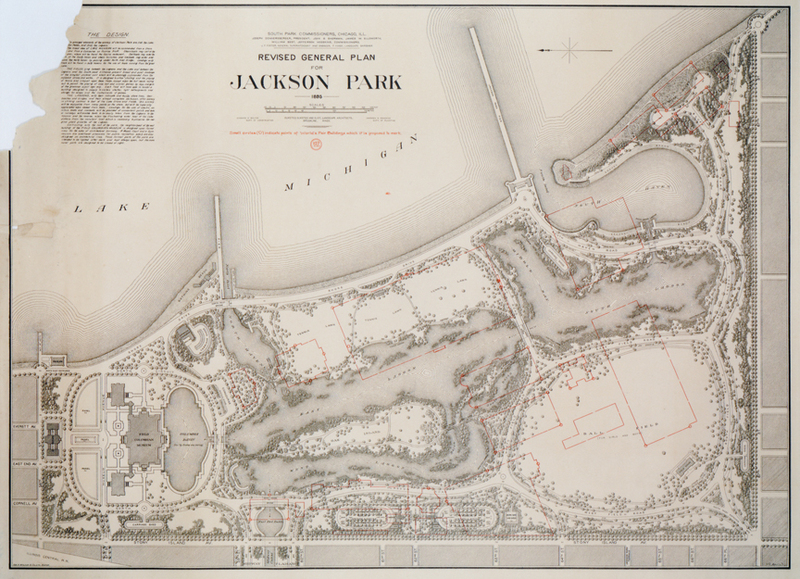 On Wednesday, October 14 at 7:00 P.M., Lauren Umek, Project Manager with the Chicago Park District, will give a talk on the Jackson Park restoration at the Riverside Library. Ms. Umek will outline how the restoration team is balancing potentially conflicting goals, like maintaining historical elements of the park while enhancing habitat for wildlife and native plants. She will show how ecologists, landscape architects, engineers, planners, and historians are working side by side to meet these goals. On Sunday, October 18 at 2:00 P.M., Ms. Umek will lead a tour of the ongoing work at Jackson Park for those interested in seeing first-hand how the restoration is proceeding, followed by dinner hosted by Riverside’s Olmsted Society at Piccolo Mondo in Hyde Park. The price including dinner is $10 for Olmsted Society members, $20 for non-members. Guests will be responsible for their own transportation/ car pools. The tour will last approximately 2 hours. Children are welcome. The park is under construction, so please wear walking shoes with covered toes. All parties will be required to sign a waiver before entry.